In a youth driven marketing environment like the auto industry, how do classic marketing techniques measure up? For years, Lexus remained synonymous with high quality luxury vehicles, but their ads haven’t really approached potential buyers with the same gusto as their competitors. In a youthful market, did Lexus have a choice but to follow suit? While most car makers focus on the sportier aspects of their cars in advertisements, in the past Lexus has remained steadfast on a classic portrayal of their models. Fast paced clips of vehicles traveling at maximum speed around hairpin turns or a commercial synched with a catchy pop tune seem to be the way of the auto industry’s marketing techniques these days. Flashy images, trendy music, and catchy features seem to be the way to strike a chord with customers. Meanwhile, Lexus has continued to show images of their classic, well designed vehicles using a single camera zoom-in shot. They’ve showed the smoothness of their drive by putting champagne glasses on the hood, used affluent mansions as a backdrop, and adorned the tops of their cars with festive red bows for the holidays. Their marketing has catered to a very specific audience. 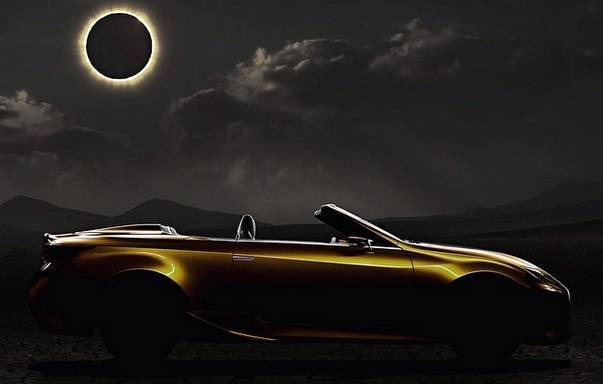 In 2014, Lexus has flipped their advertising technique on its ear. The slow moving approach on an image of their cars is a thing of the past, as they roll out with a hot new model and show the car on an empty highway. Interspersed with images of a younger group of people, Lexus’s new commercials are asking the audience to pay attention and demanding a reaction. It seems in their advertising campaign, Lexus is taking their cars to the streets. They’re showing the ease of motion in driving one of their models, the amazing safety features, and the stopping power. They’re even employing popular actors in a YouTube based commercial entitled “Face Off”. This commercial features a fast zoom on the Lexus RC coupled with flashing lights and quick clips of the car’s edges. The imagery is nothing short of stunning. Embracing another youthful concept, Lexus turned to Instagram. In a unique approach, Lexus asked their Instagram followers for their assistance with the design of the RC-F. Not only did this technique build interest in the model, but it also allowed followers to take a hands on approach in terms of the design of the new car. The ad concept allowed for Instagram followers to decide not only on small touches like the paint color or the wheels, but also the interior design as well. The campaign allowed for an increased social media presence and the ability to reach a new audience. Gone are the days of the stodgy Lexus advertisements. Lexus has even gone so far as to use commercials focused not only on the features and drive of their car, but also on the entertainment of the person watching. A group of people clad in LED lighted suits perform acrobatics and stunts coupled with an upbeat electronica soundtrack is featured throughout the entire commercial, with the final shot ending on a Lexus car. The commercial closes on the words Lexus: Amazing in Motion. It provokes the buyer in a way Lexus never has. Marketing changes aren’t the only things happening in the house of Lexus, as they’ve also updated their design quite a bit. Previously, Lexus focused on their features under the hood, and took a solid approach to the exterior design. Their models weren’t known for being particularly sporty or streamlined, but their reputation was unsurpassed when it came to high quality function and safety. They’ve now added some updated curves to outside of their models in an attempt to match what they’ve offered on the inside for years. Formerly, Lexus catered to a very specific audience of high-earning adults from the baby boomer generation. The new standard approaches a much younger crowd. It seems as though Lexus has gotten the memo regarding the new age range for luxury owners; the thirty-something and forty-something crowd. This up-and-coming generation is found to account for over 50% of new luxury owners. With an influx of new potential owners, Lexus had to ramp up their youth-oriented advertising efforts. With an incredible charge out of the gates, they’ve not only cornered their new market, but embraced it. A fresh new face coupled with a new approach to attracting buyers, Lexus is now a contender in a different market, and they don’t seem to be slowing down anytime soon.